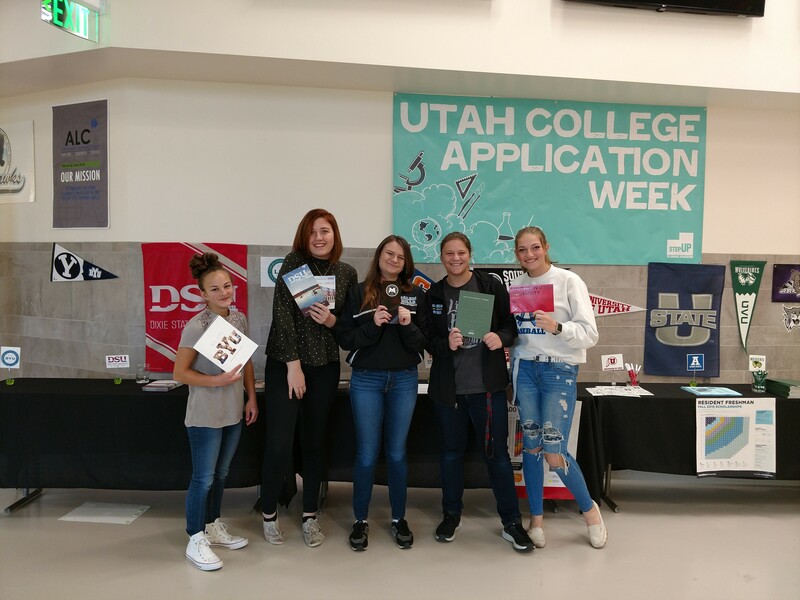 "It's been a fun and eventful week at the ALC as we are hosting our Utah College Application Week. This is an amazing opportunity for ALL students to learn and prepare to attend college someday--not just our seniors! Because there are so many kinds of colleges and degrees, college can be a reality for everybody. We encourage all our students to pick up college materials in our main hallway today and do some research on what colleges, degrees, and professions they are interested in. College can be anything from a one-year certificate to a two-year or four-year degree. We also have planning materials to help students with scholarships and paying for college.